We started New Years Eve with a duck and oyster gumbo. You might think the combination of duck and oyster a little weird, but actually, it works quite well. 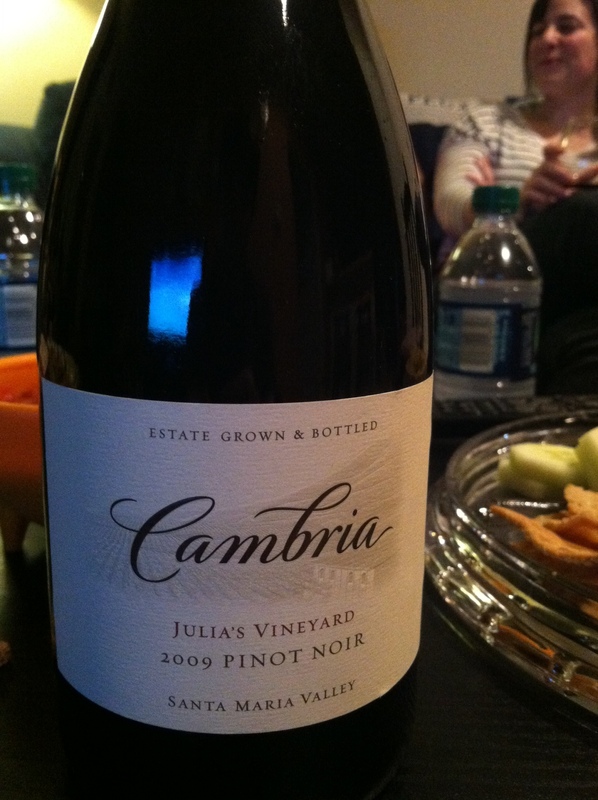 We paired the gumbo with a Cambria Pinot Noir, Julia’s Vineyard 2009. The pinot was excellent. The cherry notes of the wine came across vividly, along with being quite smooth. Year in and year out, this Cambria Pinot Noir is one of the most consistent pinots for value, taste, and availability. It’s really hard to find a really good pinot noir in the 16 to 20-dollar range. Cambria fits the bill.